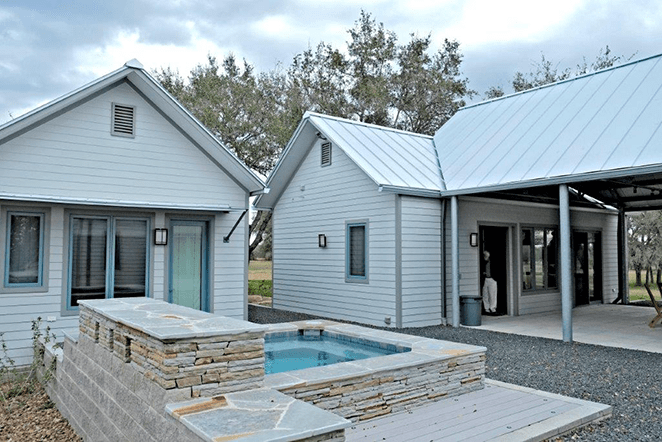 A modern, modular and sustainable ranch to enjoy the expansive Texas starry nights. 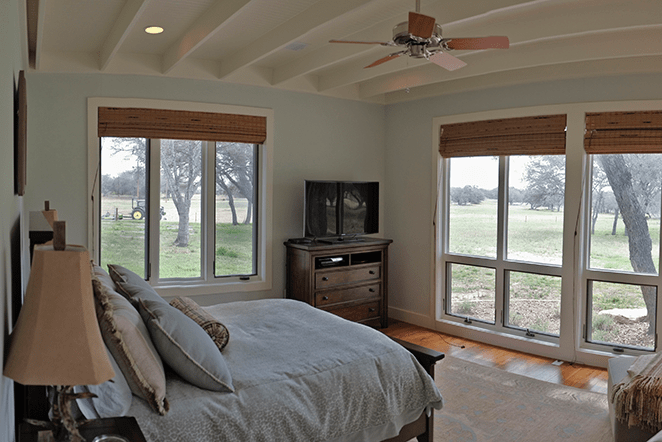 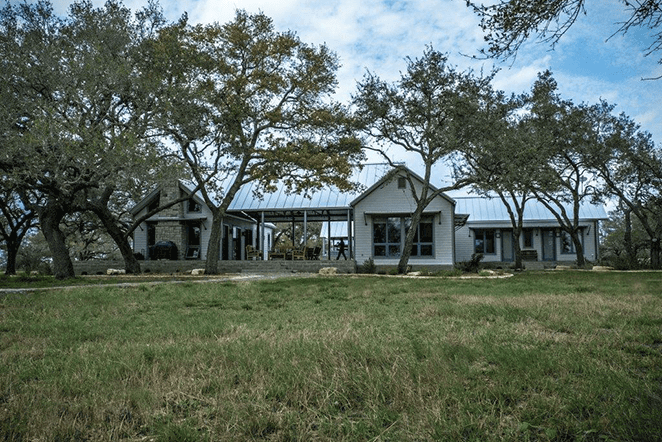 A ranch home designed by one of Austin’s premier architects for modular construction was key to this project. 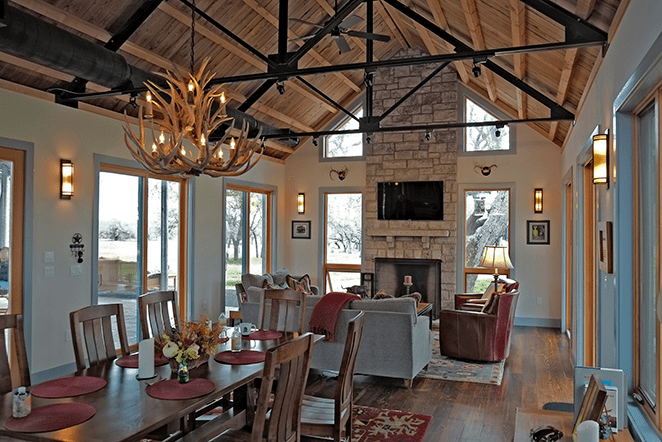 The components were built and finished off-site to expedite the process then delivered and placed on the pier and beam supports. 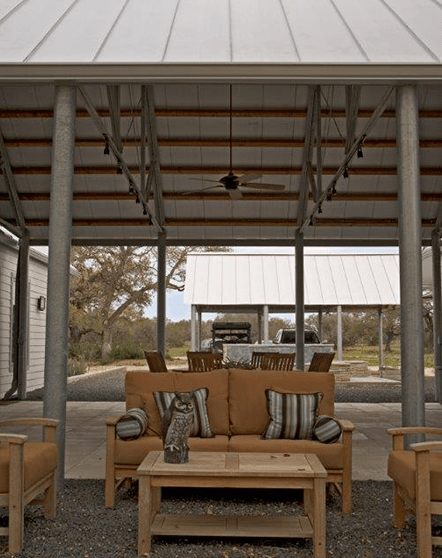 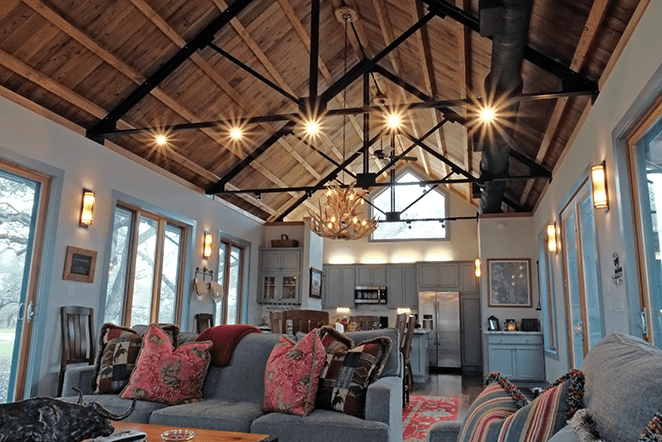 The interiors featured site built metal trusses for the great room while a large open air gazebo for outdoor breezes provides the family a gathering space to enjoy the evenings and stars. 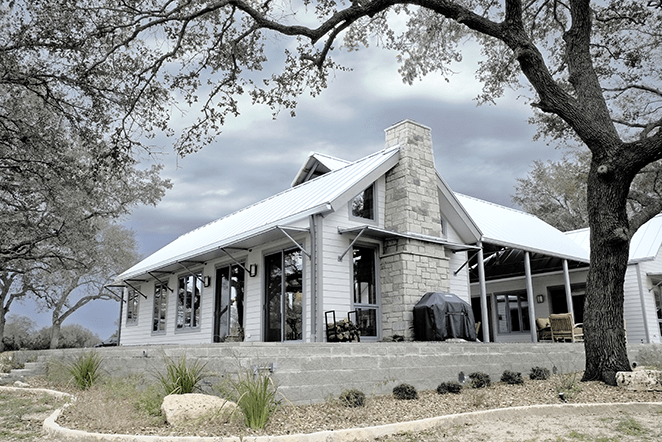 Learn more about Mangum Lewallen’s ranch building process (link)!